Even in a room full of crowded people, you can still see the creativity, energy and vibrancy of this distinguished and notable “Gospel Professional”. Eric Birdine, a gifted and talented psalmist, has moved into the arena of the well capable and most needed in these days to deliver God’s word through his anointed music. Although sought after by so many during this season of his life, Eric knows this is not due to overnight success but by being a true faith walker for Christ. His road to landing him the opportunity to walk in his purpose began at the age of (8) eight years old but has taken him all across the country. No matter what part of the world he may be in, Eric is known for capturing any audience the moment he mounts the platform through his unique style of directing and ushering in the presence of God. Eric will take no credit for the gift(s) he possesses but gives God all of the glory for using him in such a way. His dynamic style of directing is reminiscent and no short of his best friend and mentor, The Late O’Landa Draper. Eric was mentored by the best and knew early on when excellence was exemplified! Eric contributes much of the knowledge he has received of the music industry from holding dual roles as member and business manager for MDM and Voices Ministries for several years, under the leadership of Myron and Demarcus Williams. Here he learned many of the basics for being able to function in any capacity of a music minister. Eric’s faithfulness in handling his musical gift has allowed him to sing background vocals for some of gospels greatest artists; such as Darrell and LaTonja Blair, Myron Williams, Jonathan Nelson, Dorothy Norwood, Karen Clark-Sheard, Juanita Bynum, Jonathan Butler, John Francis, Kirk Franklin, James Hall, Kim Burrell, V. Michael McKay, Beverly Crawford, Tamela and David Mann and Myron Butler; just to name a few. You can hear his God given ability as he is a featured background vocalist on Gaye Arbuckle’s CD, "Think About It". He is also one of the featured solo artists on the album, "The Modern Day Music Workshop", "Awesome God". Always honored to minister in any capacity on a project, God began to speak clearly and Eric received the confirmation needed from God to do what he loved most, pursue his own career in music ministry. Knowing the importance of real ministry and already being prepared for the task, Eric Birdine was blessed to release his first CD, the Message Vol. I High Praise in January 2010! God did not leave this man as a solo artist but in turn gave him a group of anointed singers to echo the vision that he already had in place. The Messengers are, just like Eric, energetic, gifted and very versatile singers. The Messengers are compiled of ministers, ministers of music, and leaders of their own individual ministries which come alive through their true God given messages of songs. 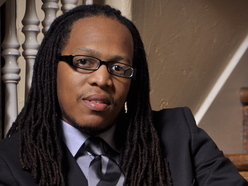 The Messengers began with a great start in August 2006, when they were asked to back up Jonathan Nelson at the Gospel Music Workshop in Dallas, Texas. The group was later formally introduced at their January 2007 concert debut, with national recording guest Crystal Rucker, LaTonja Blair, and Candy West. The standing room only church that seated one thousand was a great indication where this group was headed! The Messengers were later blessed to do the (5)five city Rhythm and Praise Tour in 2007, with National Recording Artist Darrell and LaTonja Blair, X-Factor and Martha Buries. The Messengers have also been blessed to appear on TBN (Trinity Broadcast Network) with Jonathan Nelson and the Legendary Dorothy Norwood In 2008. Other accolades attributed to Eric Birdine and the Messenger’s are Nominee of the Texas Gospel Excellence Award, “Group of The Year” and the recipient and title of KHVN's Home Grown Gospel Artists of the Year in 2009. Eric Birdine and the Messenger’s are also featured on Tamela Mann’s new cd release, “Masterplan” and also, the season 3 winner of Gospel Search, Melinda Watts cd, “People Get Ready”. In the a very short period of being together, The Messengers also had the opportunity to share the stage with Season Three American Idol Finalist, George Huff, The McClurkins, Lyle Lovett, Myron Butler and Levi and Trace Atkins. Want to leave a message for Eric Birdine? We'll post your comments right here!